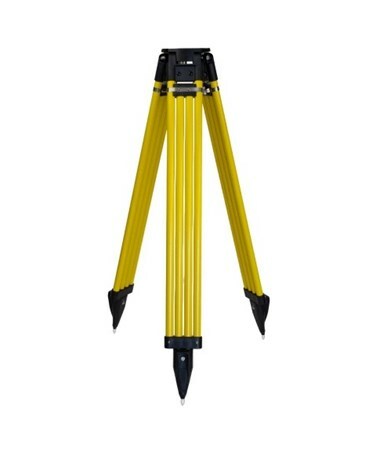 The Dutch Hill Fiberglass Surveyor’s Tripod is a functional and versatile mounting tool ideal for surveying, construction, military, and photography applications. Made from heavy-duty fiberglass material with thermoplastic and stainless steel components, it provides superior durability that resists corrosion and moisture. Its mechanically fastened parts allow easy replacement ensuring long-lasting service. 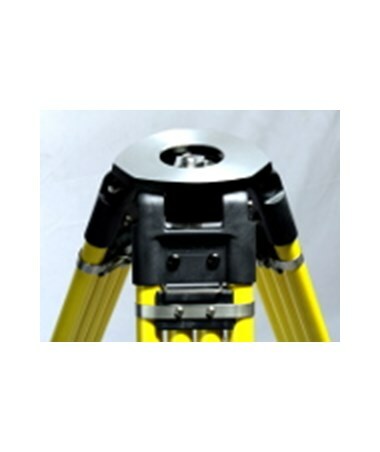 This surveyor’s tripod by Dutch Hill is highly stable with its wide frame extension leg design. It has replaceable stainless steel points that dig into the ground to ensure steady, solid foundation. 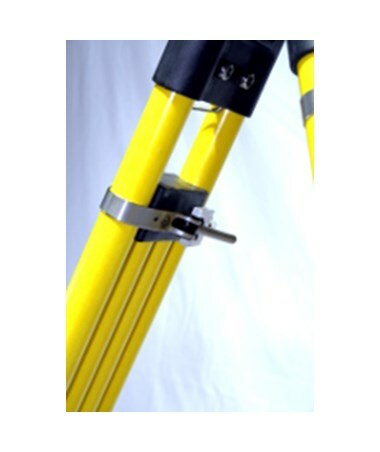 Equipped with positive locking quick release clamps, it permits easy and smooth height adjustment extending up to 70.5 inches or 72 inches. When not in use, it can be retracted to 44 inches for convenient storage and hassle-free transport. 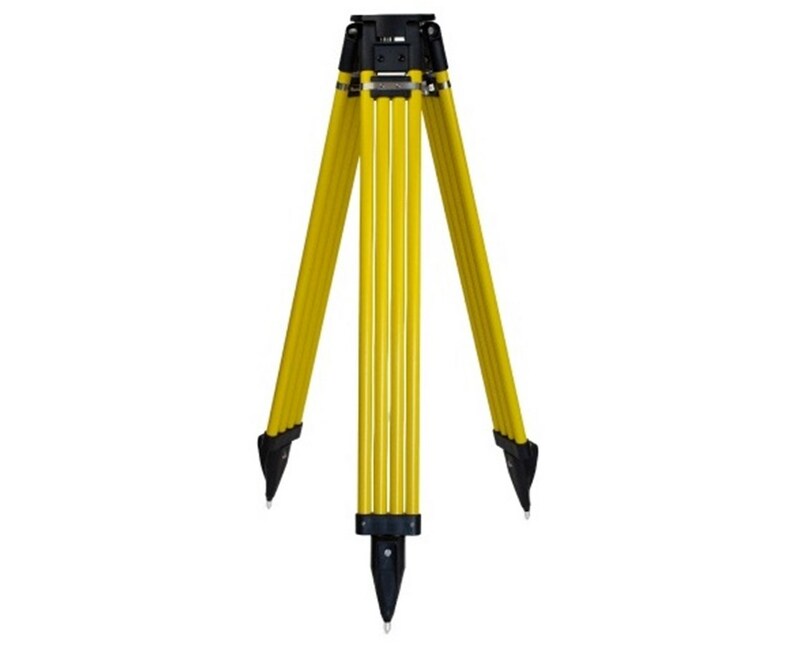 The Dutch Hill Fiberglass Surveyor’s Tripod features an aluminum or composite square head with an area of 25 square inches. 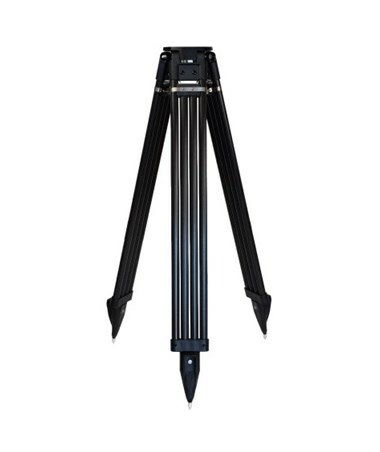 It comes with standard 5/8-11 screw threading to accommodate most equipment. It is available in two color variations—black and yellow—to suit different preferences. Supported by a five-year limited warranty, it guarantees excellent performance for many years. 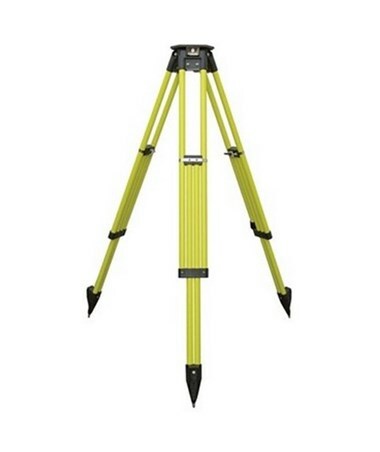 The Dutch Hill Fiberglass Surveyor’s Tripod comes in two models and color variations to accommodate every mounting need. Please select your preference from the menu above. Extended Height: 44" to 70.5" or 44" to 72"